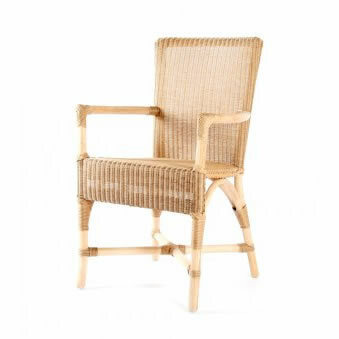 Designed in the 1990s, the Lusty Lloyd Loom Model 7041A armchair is a ´carver´ version of the Model 7041. It is widely used by interior designers because of its comfort, proportions and versatility and is suitable for use in conservatories, kitchens and breakfast rooms. Designed by Geoffrey Lusty 1991.